The International Space Station (ISS) has already brought astronauts from many different countries together, but they will soon be joined by an entirely new type of crew member - a floating, ball-shaped robot with an AI inside. The robot, called Crew Interactive Mobile Companion (CIMON), has been developed by Airbus in partnership with IBM. The robot is a "mobile and autonomous assistance system" intended to help astronauts out with their day-to-day tasks. Details regarding what those tasks may be are a bit vague at the moment. Airbus has merely said that CIMON will be able to "[display] procedures" and offer solutions to problems. To get around, CIMON will possess the ability to fly throughout the ISS at will. 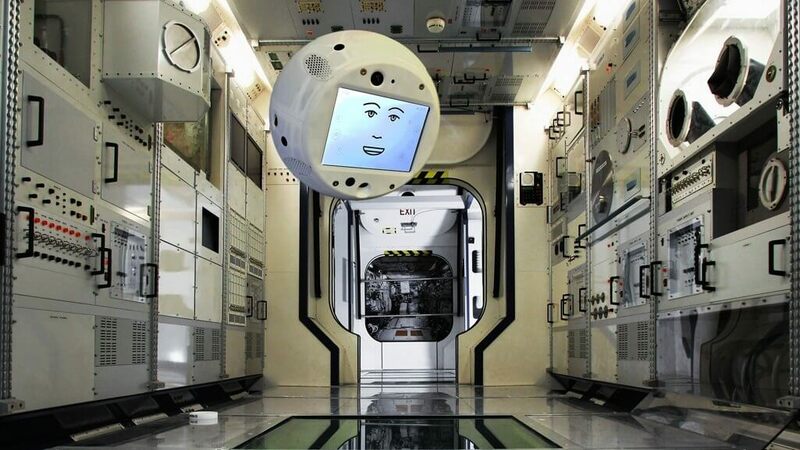 It also has an on-screen face that can seemingly change its expression, a feature Airbus hopes will make CIMON seem like a genuine "colleague" to ISS astronauts. CIMON will use a neural AI network to learn from astronauts. This means that, while its functionality may be limited at first, its feature set could expand dynamically over time depending on the needs of ISS crew members. CIMON is already on its way to the ISS as part of Space's "CRS-15" rocket resupply mission. Once the robot helper arrives at the station, it will be put to the test immediately. Specifically, astronauts will be aiming to see how it fares during experiments with a Rubik's cube, as well as medical tests. If all goes well, CIMON will become a full-fledged member of the ISS crew.